Therfeore his name was instantly recognised when his remix of Midnight Walking appeared as a download in April 2015. And there was a ripple of excitment through the fan community when his remix of Blindfolded appeared on his YouTube channel the next month. When asked about the remixes, he revealed that he'd reworked four tracks from Big Music and that they were being considered for a limited edition 12" release on Record Store Day 2016. However, Live Big Music Tour 2015 appeared for that Record Store Day instead. 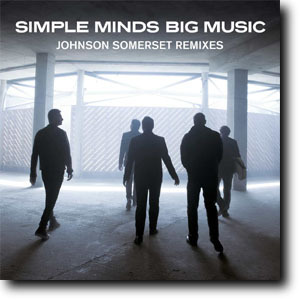 Johnson's remixes were promoted by the official site throughout April and May 2016. Each was presented as a "remix video" on every Thursday: Blindfolded appeared on the 14th April; Honest Town on the 21st April; Midnight Walking on the 28th April; and Big Music on the 5th May. Each "remix video" was based on the original video for the song, slowed and/or looped so it covered the extended length of the track. Promotional CDs of the four tracks appeared in late April 2016. 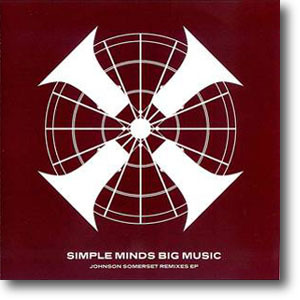 These featured the four remixes pressed up on CD and housed in a brown graphic slip sleeve.